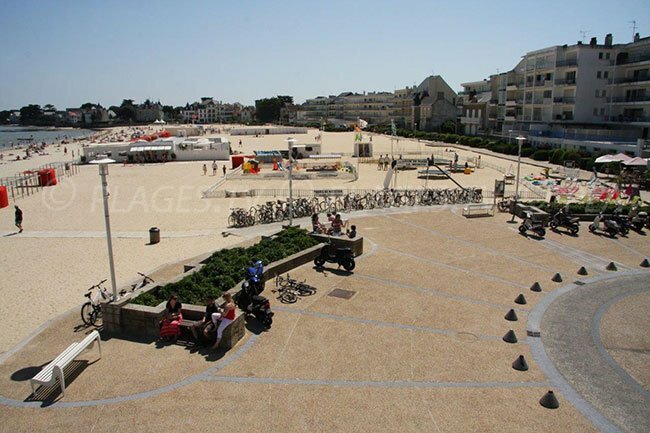 Between the estuary of the Loire and the mouth of the Vilaine, head for the peninsula of Guérande and its famous salt marshes, an area composed of the Regional Nature Park of Brière, and about thirty boroughs with a very rich heritage. In the heart of the peninsula, it is first of all the city of the same name that you will discover. The medieval city, whose ramparts are still intact, charms the tourists from all over the world, fascinated by the blue of the ocean and the white of the marshes, the black of the Brière and its prestigious monuments like the Collegiale Saint-Aubin. The city has the label "City of Art and History" and people come from afar to admire its treasures. At the beginning of the coast, the castle of Careil is one of the sites not to be missed. The house of the Paludiers, located in the small neighbouring village of Sallié, is the perfect place to understand the functioning of the marshes, and the chapel of Notre-Dame-de-la-Blanche, dating from the fourteenth century, is also quite remarkable. You cannot fail to admire the pretty half-timbered house which is just next door. It is the only one still standing and dates back to the same time as the chapel. 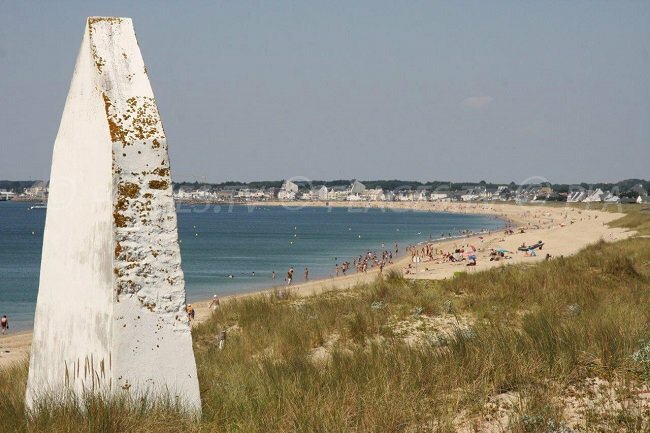 The peninsula also includes some unmissable coastal resorts, such as La Baule and Pornichet, and small cities of character in the image of Batz-sur-Mer and Croisic. 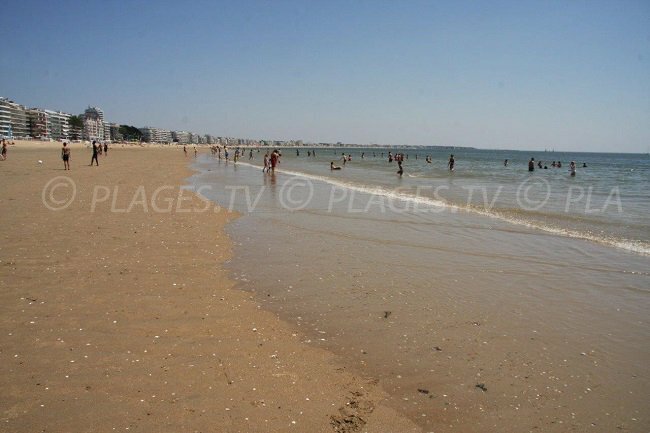 Located between the ports of Pouliguen and Pornichet, the bay of La Baule is a long beach of more than 9 kilometres lined with sumptuous villas of unique architecture. They are nicknamed "the funny ladies" and represent the chic side of the resort and harmonise perfectly with the regattas organised throughout the year or with the Jumping International. 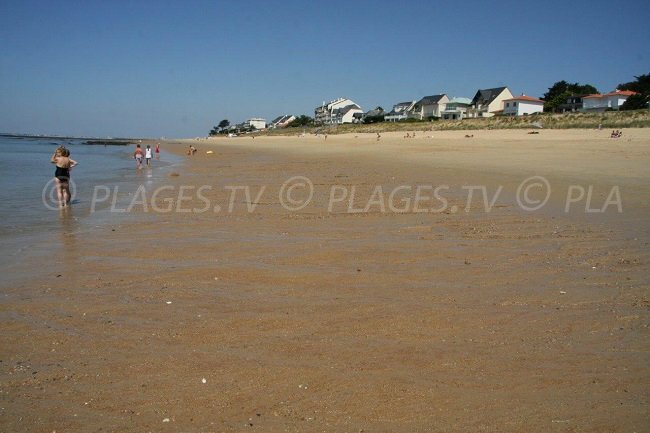 Le Pouliguen is more untamed, more authentic; you can take a bike ride and enjoy the scenery on the beach of Nau, unforgettable. On the Pornichet side, you can play sports during major nautical competitions and discover the terroir of the region, especially on the Place des Halles market on Saturday morning. 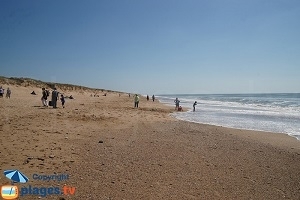 Its great beach of the Bonne Source attracts many summer visitors. It is one of the most pleasant. 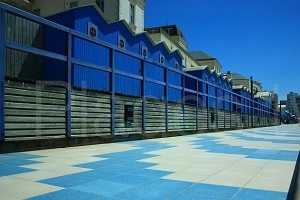 The "most beautiful bay in the world" welcomes walkers, joggers but also riders who take advantage of the huge beach early in the morning and its exceptional location in the heart of the territory of the peninsula, which charms holidaymakers eager to discover more than 90 kilometres of untamed coast and 2000 hectares of salt marshes. A true gem of the coast, the Côte Sauvage offers a different landscape, made up of coves and caves, cliffs and spikes at the end of the world. 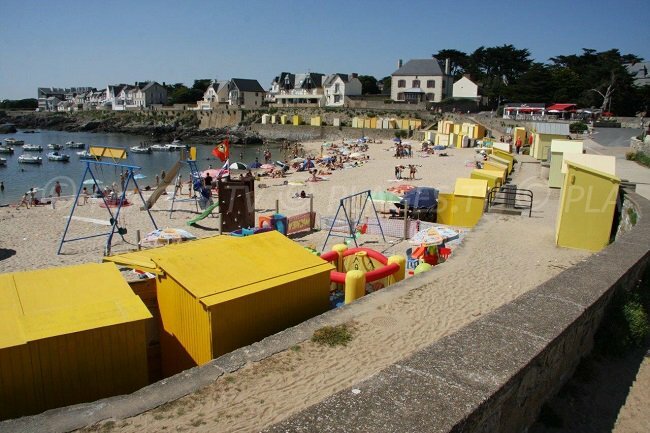 The Penchâteau Point and the beaches of Batz-sur-Mer, the fishing port of La Turballe and the very specific character of Le Croisic resort, are all here to intoxicate you. 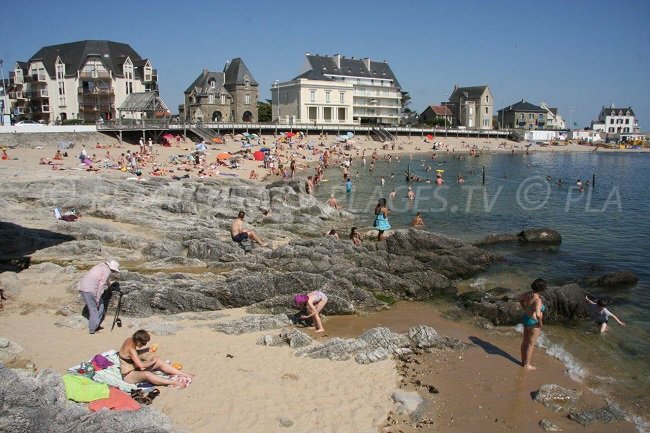 Batz-sur-Mer is attached to its heritage; its houses of granite and the bell tower of the church of Saint-Guénolé are there to remind you of it. Located at the foot of the ramparts of Guérande, the small village and its houses tight against each other give the place a certain charm. The surrounding villages, that of Kervalet for example or of Roffiat with its small narrow alleys, are to be seen. Le Croisic is a ship-owner's station. The old quarter still has many testimonies of the past, the “Petite Chambre” and the square of the former town hall for example. The half-timbered houses hide in the streets of Pilori or Saint-Christophe but fail to steal the star of the shells, the city being known especially for its "bouquets" of pink shrimps. The beach of Port Lin with its small coves surrounded by rocks and its beautiful villas on the seafront bring a total change of scenery. 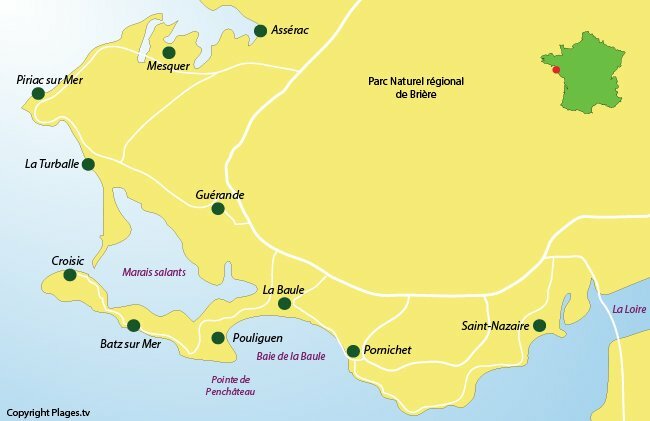 After La Baule bay, the coast becomes more untamed and you cannot miss the oysters and mussels of Assérac-Pen Bé and admire the views of the jetties and other islands , from Piriac-sur-Mer to the Castelli Point to enjoy the island Dumet, from the Congrigoux Point to Pornichet and Le Croisic for an unforgettable panorama on the jetty of Tréhic, Pen Bron and the harbour. The Brière Regional Nature Park, whose wetland is one of the richest in Europe, is a stone's throw from the marshes and will surprise every visitor. Its cottages and its unmissable sites (the bell tower of Saint-Lyphard, the village of Kerhinet, the castle of Ranrouët ...) will finish this stay on the peninsula beautifully.